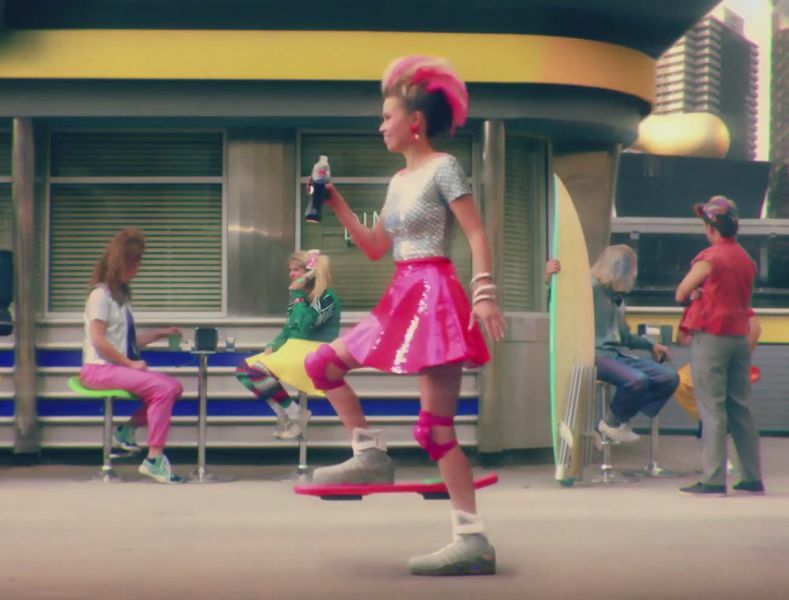 Just in time before the 30th anniversary of the Back to the Future franchise, Pepsi revisits the film in the latest commercial that showcases hoverboards and the highly sought after Nike Mag sneaker. The commercial is also a recreation of the classic Marty Mcfly x Pepsi scene, where it was delivered to him through a Tube in the 2nd BTTF movie. According to news outlet USA Today, a total of 6,500 bottles as seen in this commercial will be produced but the price tag isn’t so swell. These will be retailing at $20.15 and will be released on October 21st, the same day the Nike Mag is rumored to release. Stay tuned for more news on this upcoming drop.